This 212-room Early American-style Elizabeth hotel is within 2 miles of Newark Liberty International Airport and 400 yards from a large outlet shopping center. 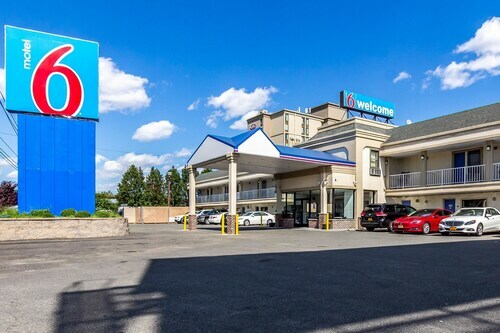 Situated near the airport, this hotel is 0.7 mi (1.2 km) from Jersey Gardens Outlet Mall and within 9 mi (15 km) of Prudential Center and Military Park. New Jersey Performing Arts Center and Staten Island Mall are also within 12 mi (20 km). 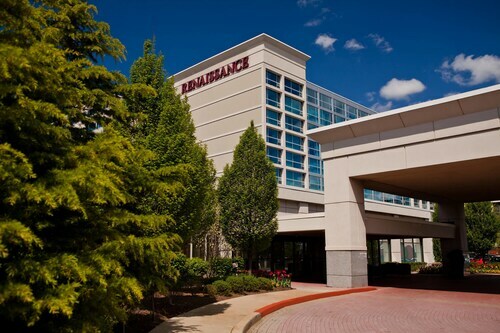 Situated near the airport, this hotel is 2.5 mi (4 km) from Jersey Gardens Outlet Mall and within 6 mi (10 km) of Prudential Center and Military Park. New Jersey Performing Arts Center and Red Bull Arena are also within 6 mi (10 km). North Elizabeth Station is 13 minutes by foot. How Much is a Hotel Room in Elizabeth? 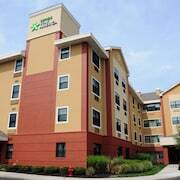 Hotels in Elizabeth start at $84 per night. Prices and availability subject to change. Additional terms may apply. Visitors to Newark are simply spoiled for choice when it comes to securing the perfect places to stay in Elizabeth. Travelocity's comprehensive database contains 47 accommodation options within 6 miles (10 kilometers) of central Elizabeth. 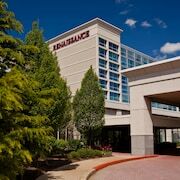 Hotels that you can book within an easy walk of Elizabeth's central area, are the Residence Inn Newark Elizabeth/Liberty International Airport and Courtyard Newark Elizabeth. Hoping to book economical places to stay? 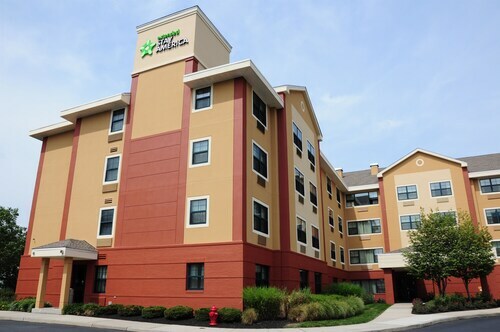 You should try the Hampton Inn Newark Airport, Extended Stay America Elizabeth - Newark Airport and Days Inn Newark Liberty International Airport. 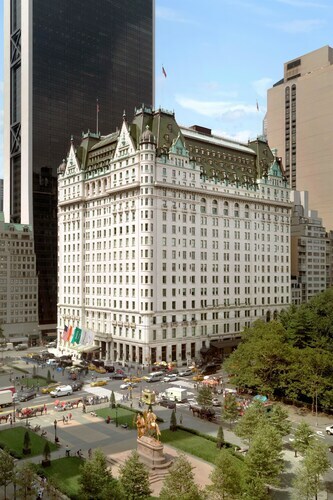 The The St. Regis New York is around 13 miles (21 kilometers) from the central part of Elizabeth. 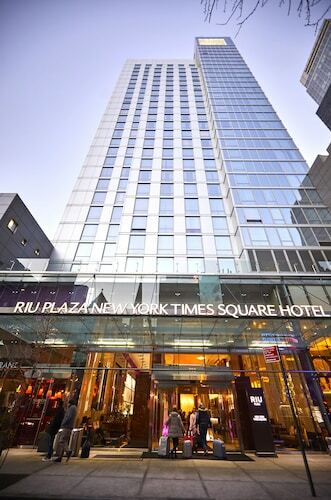 Or, alternatively, the Mandarin Oriental, New York is 13 miles (21 kilometers) away. Some other hotel and apartment options around this area include the Trump International Hotel & Tower New York along with the The Plaza Hotel. Planning on exploring even more of the coastal plains and forests this area offers? What if you book some time in some of the other destinations in North Jersey? Have fun snowboarding, skiing and cross-country skiing or wander around the area's major things to see. A range of Travelocity-registered hotels and apartments await your arrival. 11 miles (18 kilometers) to the north of Elizabeth, you can find Montclair, home to Montclair State University and Montclair Art Museum. Some Travelocity-listed Montclair accommodations include the Residence Inn By Marriott West Orange and Courtyard by Marriott West Orange. 5 miles (8 kilometers) northwest of Elizabeth, you'll also find Irvington, which boasts the Hilton Newark Airport and Renaissance Newark Airport Hotel. If you're staying in Irvington, be sure to venture to the Montgomery Park and Cora Hartshorn Arboretum and Bird Sanctuary. Simply because you and your traveling partners are traveling, who says that you can't enjoy your love of a day of sports. Madison Square Garden is 12 miles (19 kilometers) to the northeast of Elizabeth. Book a hotel not far from the action at the The Lowell or the Four Seasons Hotel New York. 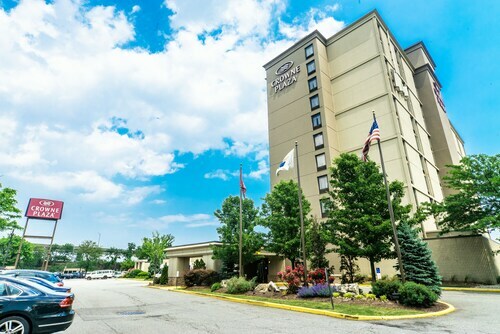 If you're traveling into or out of Liberty International Airport and would like to find Travelocity-listed accommodation in the area, try Country Inn & Suites By Carlson, Newark Airport or Wyndham Garden Hotel Newark Airport. 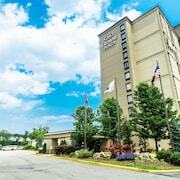 Beautiful Oasis Minutes From EWR 25 Minutes TO NYC Price Covers $ Guests! Host up to 20 Guests!!! - Close to Nyc, EWR - 4 Private Parking Spaces!! !